ST. DAVID'S WELSH SOCIETY OF THE CAPITAL DISTRICT (Albany, NY) Our sister organization in Albany, New York. They host a Gymanfa Ganu, a pub night, an annual dinner and bi-weekly Welsh language class, as well as a tent at the Celebration of Celts in Chatham, New York. THE POULTNEY AREA ST. DAVID'S SOCIETY (Poultney, VT) link to Facebook Page An active Welsh group in Poultney, VT who are helping preserve Welsh culture and history in the Slate Valley area of Vermont and New York. Welsh Society of Western New York - A recently-formed society inspired by the founding members attendance at NAFOW. Welsh Congregation of New York City - Keeping the best of Welsh religious traditions alive and relevant for today's complex times. Services are held on the Second Sunday of the Month (except during the summer hiatus) at 3:00 p.m. hosted at the Rutgers Presbyterian Church, 236 West 73rd Street (just west of Broadway), New York City. ST. DAVID'S DAY SOCIETY OF UTICA, NY - A Welsh group dedicated to preserving the rich Welsh heritage of the Central New York region. 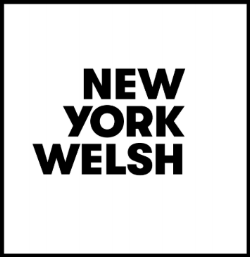 New York Welsh - A network aimed at supporting Welsh people who have either recently moved to the United States of America, or who have their roots in Wales and are now living in New York. WELSH NORTH AMERICAN ASSOCIATION (WNAA) - The Welsh North American Association (WNNA) strives to preserve, develop and promote our Welsh cultural heritage and traditions. WNAA hosts the annual North American Festival of Wales. GREAT PLAINS WELSH HERITAGE PROJECT (Wymore, NE) - An active organization and museum that preserves, interprets and celebrates the history and contributions of Welsh pioneers on the North American prairies, to further public understanding and appreciation of America's ethnic and cultural diversity. THE MADOG CENTER FOR WELSH STUDIES - This outgrowth of the North American Association for the Study of Welsh Culture and History (NAASWCH) links to journal articles about Wales and to a wide variety of Welsh related websites. ST. DAVIDS WELSH AMERICAN SOCIETY OF WASHINGTON DC - For 128 years the Society has fostered the culture and traditions of Wales, commemorated the Welsh contribution in founding the American republic, and sought to perpetuate love of Welsh music, literature, history and art. THE ST. DAVID'S WELSH SOCIETY OF GREATER KANSAS CITY - Established in1893 among Welsh immigrants in order to help newcomers adjust to life in America. WELSH SOCIETY OF FREDERICKSBURG VIRGINIA - Established in 1991, the society gathers on the 3rd Sunday of every month save July. Wales International (Cymru a'r Byd) - The origins of Undeb Cymru a’r Byd stretch all the way back to the early Forties and the efforts of a band of Welsh servicemen in the Middle East to forge a link with their compatriots and their homeland.